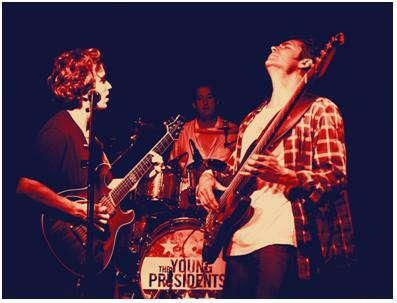 The Young Presidents hit the Southeast! New York, NY – (July 20, 2011) Hailed as Clear Channel’s “New Artist to Watch” – The Young Presidents – are following up their June release of debut album Freedom of Speech, with an extension of tour dates throughout the Southeast. Eager to take the record’s tracks on the road, the band prepares to start travel at the end of July, instruments in hand through select states until September. This entry was posted on July 20, 2011 at 12:20 pm and is filed under Artist Watch, News with tags Freedom of Speech, The Rock Tribune, The Young Presidents. You can follow any responses to this entry through the RSS 2.0 feed. You can leave a response, or trackback from your own site.